The Hawks are going to really struggle, as they trot out a team led by Kent Bazemore and Trae Young. Bringing in Vince Carter was an impressive move for both the Hawks and Carter himself. The Hawks gained a valuable veteran who can mentor the young players with promise, and Vince Carter won’t go down as a ‘ring chaser’ at the end of his career. 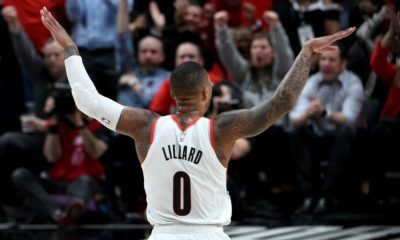 Atlanta needs to use this season to evaluate the players they want to keep, manage their payroll responsibly, and take advantage of, potentially, the number one overall pick in the 2019 Draft. Jabari Parker and Lauri Markkanen are solid players, but this Bulls team simply lacks the talent to put together any sort of optimism for me. Look for the Bulls to be at the bottom of not just the Eastern Conference, but the entire league. Another high draft pick to pair with Wendell Carter Jr. going forward is the best course of action for the Bulls this year. The Knicks will be led by Kevin Knox and Enes Kanter, as the Knicks await for the return of their unicorn; Kristaps Porzingis. Ultimately, this season will be a wash for yet another team. The good news is that the Knicks remain optimistic about attracting a big time free agent in the summer of 2019. Many expect the Nets to improve somewhat dramatically this year, but I do not. I like Jarrett Allen, but there is just not enough talent beyond Russell, Crabbe, and Hollis-Jefferson to support a jump from the Nets this year. Thankfully, the Nets will FINALLY have their own first round pick in the 2019 Draft, so they can re-tool and finally start to begin a rebuilding process. 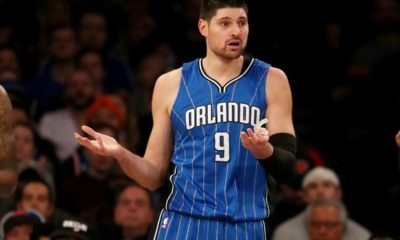 One of the perennial bottom teams in the Eastern Conference that I expect to make a jump in the right direction is the Orlando Magic. They were able to sign Aaron Gordon back to the team and draft the extremely talented Mo Bamba, who they think could be another Shaquille O’Neal/Dwight Howard presence in the post. A healthy Jonathan Isaac is something the Magic have yet to see, and with Gordon drawing defensive attention and Bamba able to guard the opposing team’s center, Isaac will be able to float more towards a hybrid SF/PF, which will allow his game to flourish if he can stay off of the training table. It should be no surprise that the Cavaliers fall this far without LeBron James. The Cavaliers are in a position where they have too many massive contracts to actually move, like Kevin Love, Tristan Thompson and J.R. Smith, yet they also have young budding talent like Cedi Osman and Collin Sexton that they otherwise would tank and rebuild around. 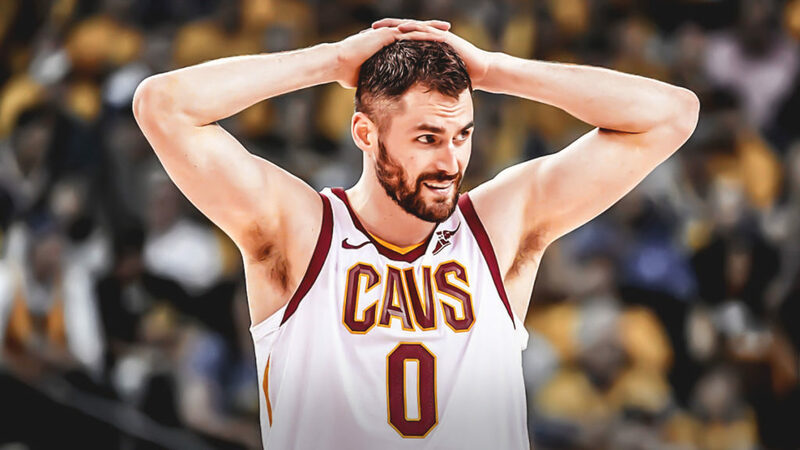 I have my doubts regarding Kevin Love’s ability to put up numbers similar to when he was a double-double machine and one man show for the Timberwolves. Meanwhile, J.R. Smith seems to have lost a step and/or track of the score of the game, and Tristan Thompson seems to have gone soft since his big contract a couple years ago. This team will be stuck in NBA purgatory until Love, Thompson and Smith are gone. The question is if anyone will trade for them to speed up the rebuilding process for the Cavaliers. I don’t like the Pistons this year. Dwayne Casey as their new head coach was a good move, but this team simply lacks the personnel and depth to be successful. Blake Griffin and Andre Drummond may look good on paper, but think about the three-point production coming from that duo. There is VERY little. Reggie Jackson is also a talented guard, but he also lacks a reliable three-point shot. Stanley Johnson also shot 28.3% last season. That leaves Ish Smith and Luke Kennard as the three-point shooters on the Pistons. Ouch. In a league with teams like the Warriors, Celtics and Rockets that shoot more three-pointers each and every NBA season, the Pistons team is built completely the wrong way. I expect them to struggle. The Hornets have had a long road to get here, but I think they actually sneak into the playoffs. An addition of Tony Parker will allow Kemba Walker to rest while another point guard provides valuable minutes throughout the season. 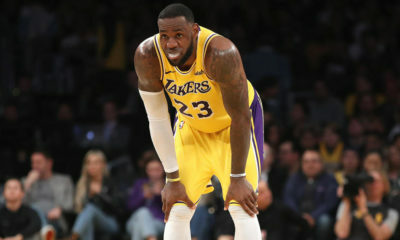 Factor in the fact that almost everyone on the Hornets can shoot the three ball, with players like Batum, Monk, Kaminsky, Lamb and rookie Miles Bridges, combined with the athleticism of Kidd-Gilchrist and Biyombo, and you have the makings of a team that, while not a powerhouse in the Eastern Conference, is still a team equipped to compete throughout the regular season. The Wizards signed Dwight Howard, knowing full well that he would either save them or destroy them. I think that Howard ultimately sinks this team that, outside of the starters, has very little depth. It will be interesting to see if the Wizards end up dealing Wall or Beal at the trade deadline. The Wizards will be the team that plays just well enough to lose to the actual contenders in the Eastern Conference come playoff time. Dwyane Wade may be coming back, but that doesn’t mean the Heat are a super talented team. Erik Spoelstra always gets the most out of his players, and while the record won’t change, I believe the seed of the Heat will bump a spot from last year, as the East becomes more consolidated towards the top. If the Heat are able to acquire Jimmy Butler, they will certainly improve, but I have a hard time believing that it bumps them past the team in front of them. I like the Pacers. I really do. It pains me to put them as the 5 seed, but I think the next two teams have better things going for them this year. The Pacers elected to, essentially, run it back this year, but with Tyreke Evans to serve as either their sixth man or starting SF. This is an example of a team that I don’t mind running it back again because, even without Evans, the Pacers play hard and make opponents work for it every game. They could be a tough matchup against the projected 4 seed. The Bucks are going to be for real this year. Another year of Giannis means another year closer to his first career MVP and, given how his numbers have increased every year he has been in the league, he could be poised to do it this year. If anything, the Bucks added depth with Brook Lopez, who has evolved his game to include a pretty sweet three-point stroke. Add in an interesting rookie in DiVincenzo, and the Bucks have the potential to take advantage of a weak Eastern Conference. The 76ers are built to be a solid team, but they were a bit overhyped at the end of the regular season when they rattled off 16-straight wins. That streak with context is less impressive, when one considers they played the likes of the Knicks (twice), Nets (twice), Grizzlies, Magic, Hawks (twice), Hornets (twice) and Mavericks. Beating the Cavaliers was impressive, but the 130-95 win against the Bucks means nothing considering the Bucks wanted to lose. The 76ers are a good team, but don’t expect a massive jump, as they still have a lot of question marks surrounding the likes of Markelle Fultz and Zhaire Smith as to how much of an impact they will have. The Raptors did not go anywhere. While their season ended in a flop and a fired head coach, this team brought in both Kawhi Leonard AND Danny Green, who will be excellent compliments to Kyle Lowry. With Serge Ibaka and Jonas Valanciunas co-anchoring the defense WITH Kawhi Leonard, the Raptors have the capability to cause matchup problems offensively for any team. 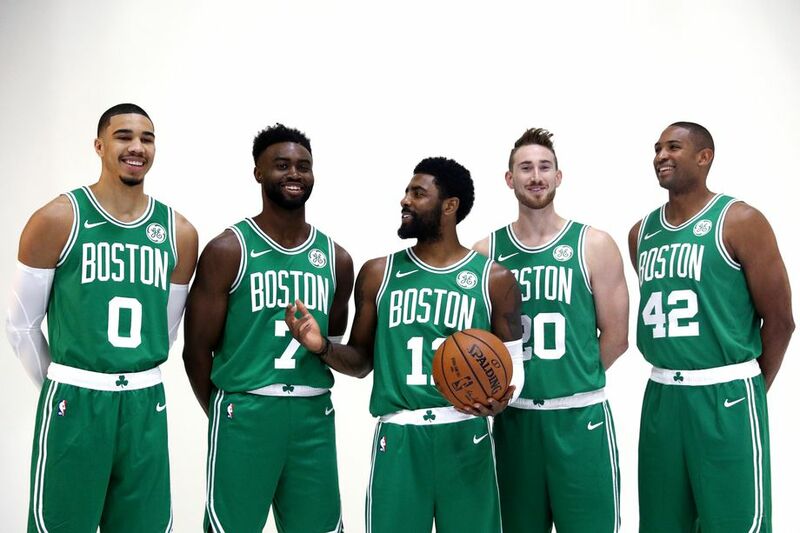 This team is a real threat to win the Eastern Conference. We all saw what the Celtics were capable of after losing Gordon Hayward. Then, we saw what they were capable of after losing Kyrie Irving too. Now, those two are healthy, and an Irving, Hayward, Brown, Tatum and Horford lineup is downright scary when you consider Smart, Rozier, Morris, Theis and Baynes are coming off the bench. Brad Stevens has had a lot of time to plan for this season, and that should give the Celtics what they need to be the favorites to win the Eastern Conference.